#22 – Where It Never Happened Happens. We are now a little over three weeks away from opening night in college basketball, so it’s time to start our preseason coverage here at the ACC microsite. Over the next several weeks we will preview the fortunes of all 15 ACC schools by projecting how each squad will maximize its strengths and mitigate its weaknesses, and we will also be reporting from ACC Operation Basketball in Charlotte later this month. But first, let’s catch up on a few of the most important storylines in the ACC since North Carolina captured its sixth NCAA Championship in Glendale last April. Here’s Part Two of our three-part series (Part One is here). It’s October 15, the traditional date of Midnight Madness, and although nobody to our knowledge is honoring Lefty Driesell by meeting at the campus track and running a six-minute mile illuminated by car headlights at each turn, the feeling is still pretty much the same — college basketball is nearby. This Friday night will feature the annual ESPNU Midnight Madness coverage of a number of prominent schools holding their celebrations, and a mere 21 days later we’ll jump right into the opening games of the season. Despite all that, the unknown is still more interesting than the known to many people, which explains why recruiting chatter and hype dominate the headlines and social media. The biggest news on this year’s Columbus Day? Class of 2015 superstar forward Ben Simmons, coveted by every major program in America including Duke and Kentucky, verbally committed to LSU. As The Dagger‘s Jeff Eisenberg explains in his background piece, Simmons’ commitment to a school that hasn’t made the NCAA Tournament since 2009 makes more sense with the knowledge that Simmons’ godfather/LSU assistant coach, David Patrick, played overseas basketball with his father in Australia and the families are apparently quite close. Regardless of the reasons for the commitment, LSU’s Johnny Jones is loading up on talent, especially in the frontcourt. Patrick, an Australian himself, was the primary link to a number of Aussie stars (including Patty Mills and Matthew Dellavedova) that he recruited to play for his former employer, Saint Mary’s College, in Moraga, California. Although he was not personally implicated in any wrongdoing during his three years as an assistant coach there, the NCAA found that the program had committed several recruiting violations and slapped the school with a four-year “failure to monitor” probation last spring. As a result, the Gaels’ head coach, Randy Bennett, received a five-game suspension along with a one-year off-campus recruiting restriction, and those penalties were upheld on appeal Monday by the Infractions Committee. During Bennet’s nearly two-week layoff, which will begin in late December and include the first Gonzaga game in Spokane, he will not be allowed to perform any basketball-related activities whatsoever. Can you imagine a Type A personality like Bennett taking a midseason vacation? The NCAA should seriously consider putting an ankle monitor on him during those days. Wiggins, Wiggins, Wiggins. Remember the hype we mentioned above? Well, after a week that featured the precocious 18-year old as a Sports Illustrated cover boy in an effort to introduce him to America as the Next. Big. Thing., everybody else is now talking and writing about Andrew Wiggins. Even LeBron James got into the act, telling Rock Chalk Blog before a preseason game in Kansas City over the weekend that his best advice for Wiggins is simply to “live in the present.” For a far more thoughtful analysis of Wiggins’ identity and game, TSN‘s Mike DeCourcy has that covered. It’s a well-deserved read to better understand the young phenom, especially given the notion that Wiggins revealed “his true identity a half-dozen times or so each afternoon with a sequence that perhaps only three people on the planet are capable of executing.” Wow. Finally, Grantland chimes in with a piece from Corban Gable called “Livin’ for Wiggins,” a fan manifesto that attempts to outline how one excitable Jayhawker prone to hyperventilation is going to make it through this season. Hey, whatever works, so long as his boss Simmons stays away from college basketball. The next huge thing doesn’t just apply to teenagers in sports; it sometimes also figures in the management and administrative components of the games we love. Anybody who has marked the meteoric rises of successful young coaches like Brad Stevens, Shaka Smart and Josh Pastner knows that. Myron Medcalf from ESPN.com writes that with these coaches’ continued success, many administrators, especially at mid-major schools, are becoming less hesitant in pulling the trigger on 30-something candidates who show that they really know and can teach the game. It actually makes a good deal of sense. As he notes, recruiting 365 days a year takes a tremendous amount of attention and energy, something that younger coaches have in spades. But truthfully, this should surprise nobody who works in the business world, a similarly cutthroat environment where strong quantitative and analytical skills combined with greater sophistication with technology give the young guys a leg up on many of their older colleagues. The AP reported on Monday that the SEC will announce later today that it plans on making Nashville’s Bridgestone Arena its “primary” site for the annual SEC Tournament. The tourney will bounce back and forth between Nashville and several other cities (Atlanta, Tampa and Saint Louis) over the next seven years, but from 2021-26 the Music City will hold exclusive ownership over the event. We’ll have more on this later today, but there’s no question that Nashville’s geographic location nearest the five northern SEC schools that take basketball the most seriously has something to do with this decision. The Big Blue Behemoth is merely three hours to the northeast, and both Tennessee schools along with Missouri and Arkansas also do a good job supporting basketball. This is a win from both a competitive and financial standpoint. August is arguably the deadest month of the college basketball calendar, but that didn’t stop the crew from putting together an RTC Offseason Podcast to review the last six or seven weeks of news since the NBA Draft went down in late June. Shane Connolly (@sconnolly114) came out of his summer hibernation to serve as our host, and the guys took on the topics of Division 4, what defines success for an NBA coach and whether summer basketball is roughly as relevant to future success as preseason football (full timeline below). We’ll be back in late September as we start to truly gear up for the 2013-14 season. See you then! 24:39-27:04 – Summer International Tournaments – News or Noise? As CBSSports.com‘s Jeff Goodman reported yesterday, the NCAA Rules Committee is meeting in Indianapolis this week and as of now it appears unlikely that the governing body will recommend a change to the 35-second shot clock. Given that scoring has reached its lowest point in over a half-century of college hoops, many have been clamoring for the pace of the game to increase through a shortened clock. What those rabble-rousers of course fail to realize is that because of advanced scouting and technology, defensive strategies are vastly more robust than they were even 10, or certainly 20 or more years ago. The game is also significantly younger than it was when the shot clock was first introduced, which creates a likely devil’s potion of unintended consequences whereby a shortened clock will simply lead to more rushed (read: ugly) possessions that will not at all improve the overall level of play across the game. 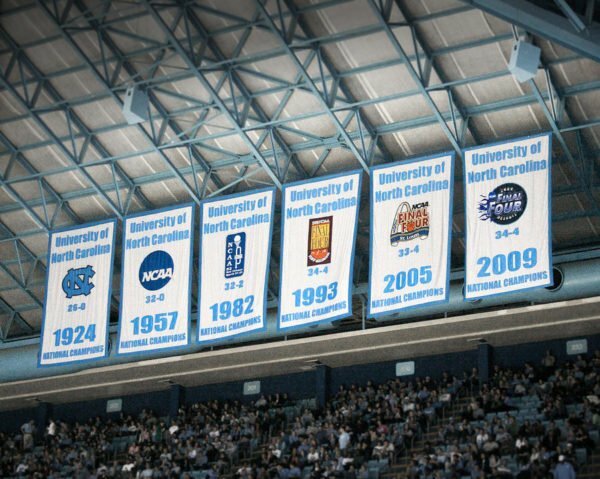 Good on the NCAA to recognize this and keep the wolves at bay. Some of the other anticipated rules changes are to mimic the NBA’s achievement in using the monitors at the end of games to get possession, time and score calls correct, while also placing a much-needed emphasis on the removal of hand-checking and bumping on cuts through the lane. Hopefully these measures will help to make the game a bit more free-flowing, because the NBA’s product right now in that regard is fantastic and the collegians could stand to learn from it. The match-ups for the 15th annual ACC/Big Ten Challenge were released yesterday and everyone is giving their takes on which games stand out as the best. Perhaps the most interesting aspect of next year’s event, of course, is that the three new ACC schools — Syracuse, Pittsburgh, and Notre Dame — will be a part of the action next December 3-4. The Orange will take on Indiana in a rematch game from this year’s Sweet Sixteen; the Panthers will host rising program Penn State in a Keystone State battle; and, Notre Dame will travel to Iowa to face another Big Ten team hoping for big things next season. As for longtime ACC teams Wake Forest, Clemson and Virginia Tech? Welcome to your new reality — there are three newer and prettier girls moving to town. For what it’s worth, the Big Ten has won three of the last four events, with last year ending up as a 6-6 tie. The national runner-up, Michigan, will travel to Cameron Indoor Stadium in the marquee game of the first night of the Challenge, which brings back great memories of the days when Chris Webber, Jalen Rose and the Fab Five would knock antlers with Bobby Hurley, Grant Hill and the rest down in Durham two decades ago. While on the subject of Michigan’s most famous player, Webber’s 10-year ban from association with UM as part of his punishment for taking hundreds of thousands of dollars while in school there, is now over. Technically, this means that if Michigan someday wants to honor him with a jersey retirement ceremony or some other shrine in Crisler Arena, they will be allowed to do so. Whether Webber ultimately wants something like that is open for debate — he’s reportedly remained very cool in his relationship with the university (and some argue that he’s right to be angry) — but it says here that Webber is a sensitive guy who was very hurt by many of the things said about him within the Michigan community, but as evidenced by his attendance at the National Championship game last month, he’ll never stop loving the school that made him famous. He’ll be honored there within the next five years. By now everyone knows and has an opinion on the mercurial rise of wunderkind head coach Andy Enfield from Florida Gulf Coast to USC. Now that he’s been on the job for a few weeks in Troy, the New York Times caught up with him to see how he’s handling the transition from the low-density glare of Fort Myers, Florida, to the red-hot limelight of Hollywood. No stranger to hard work, Enfield has been putting in 16-hour days getting organized in everything from recruiting strategies to travel plans, all from the relatively comfortable haven of his nearby Raddisson hotel room. As the article notes, the Fighting Enfields are already focusing very hard on dominating the Los Angeles talent scene, a sentiment that is going to be very interesting with Steve Alford just a few miles away in his new digs mapping out the very same plan. USC may not ever become a basketball school, but there’s really no excuse for it to be awful, either. Enfield might just be the guy to make USC basketball relevant again. SI.com‘s Andy Glockner has been beating this drum for a while now, but we’re not sure he’s ever done so outside the conversation-friendly auspices of Twitter. The idea? A college basketball Champions League arrangement, first espoused by Bylaw Blog‘s John Infante, which would essentially use the non-conference friendly months of November and December to create non-stop excitement by crafting big game after big game between talented teams before heading into the heart of conference season and, ultimately, March Madness. We’re not smart enough with respect to the nuances of the Champions League format to determine whether this sort of thing might be feasible, but if the ultimate goal is to improve the game as a whole through more compelling match-ups when most sports fans are generally only worried about football, then we’re all for it. Glockner does an excellent job explaining how the pairings would work as well as rebutting some of the arguments that are sure to arise — it’s well worth a read and some consideration. That was the first thought that jostled around my frontal lobe after reading Eric Prisbell’s expose in Saturday’s USA Today detailing St. Louis-area AAU Coach Darius Cobb’s admission to receiving multi-thousand cash payments and free-expenses paid trips in exchange for perceived influence and access to Kansas star and likely top-three NBA draft pick Ben McLemore. Cobb reportedly met with various sports agents and financial advisers looking to steer McLemore to the professional ranks after his redshirt freshman season. Even a cursory knowledge of NCAA protocol would lead you to make the following conclusion without much in the way of deep introspective thought: An investigation of Kansas’, and by extension McLemore’s, alleged impropriety could result in the Jayhawks not only losing their Big 12 title and Sweet Sixteen appearance, but having its entire 2012-13 season expunged from NCAA historical accounting. Everything McLemore touched during his college career could be in danger of sheer obliteration. There would be protest and angst and complaints. It would get ugly. 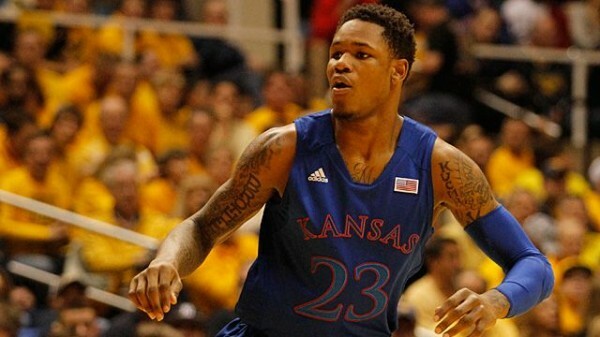 The NCAA ultimately may not be able to find any wrongdoing on behalf of Kansas or McLemore (Getty Images). Or maybe it won’t: thanks to some quick analysis on the matter at hand from John Infante, the internet’s resident NCAA bylaw expert and author of the famous Bylaw Blog, a completely blood-free resolution of the case seems entirely plausible, even historically prudent. Kansas can look through the superficial ugliness of its star freshman shooting guard and nefarious AAU-circuit go-betweens and financial impropriety, yearn for a punishment-free future and not feel totally nervous about the whole thing. The NCAA, as is all too often the case in high-profile impermissible benefits cases (and as was made glaringly evident in the resolution of the Lance Thomas jewelry fiasco), has no legal means by which to force Cobb, alleged McLemore-invested runner Rodney Blackstock or even McLemore himself, now that he’s declared for the NBA Draft, to discuss his muddy past. The only looming repercussion is if Cobb or Blackstock qualifies as an “agent,” which could very well be the case under the NCAA’s new expansive definition, or – as Infante details in much greater and clearer nuance – if McLemore is proven to have had knowledge and willing acceptance of Blackstock’s (or whoever else was involved) services. The NCAA approved legislation on Friday that will allow the first official practices to start two weeks earlier next fall, essentially meaning that we might see Midnight Madness events tipping off in late September rather than the usual mid-October commencement date. The rule allows for 30 days of team practices over a 42-day window, backing up from the date of the first regular season games of the season (next year: November 8). While we’re fully in support of more preseason practice time so that teams have sufficient opportunity to field a good product during the marquee early events, we’re not sold on the idea of having a bunch of Midnight Madnesses while college football is still getting under way, the NFL is only three weeks into its season and the MLB playoffs haven’t even begun yet. It’s not the worst thing in the world if college basketball fans are getting excited about Big Blue Madness, Late Night With Roy, and the rest, for a sliver of a crowded September sports schedule, but if we had been the NCAA, we may have written a clause into the draft that allows for the earlier practice time while mandating that public events cannot go off until the usual mid-October date. This article from the LA Times‘ Bill Plaschke isn’t a college basketball piece, per se, but it does start and end with examples relating to the sport. The topic is the difficulty of head coaching positions in the Los Angeles sports scene, and UCLA men’s basketball in particular is featured prominently. He cites the fact that there’s already a Facebook page dedicated to firing new Bruins’ head coach Steve Alford, and of course he makes time to mention former head coach Ben Howland’s three Final Fours during his decade in Westwood. The restlessness that appears to infect the LA sports and entertainment scene is probably not much different than anywhere else — perhaps a bit more hyperactive there because of the importance of style over substance — but Plaschke is absolutely correct when he notes that a certain former head coach went a phenomenal 16 seasons before “finally” winning the first of his 10 national championships. No doubt if John Wooden had coached in today’s era of immediate expectations and returns, he may not have ever gotten the chance to make his unprecedented run. We’ll have more on this topic later today, but news from USA Today‘s Eric Prisbell over the weekend suggests that the former AAU coach of former Kansas star Ben McLemore took money and benefits from an agent named Rodney Blackstock in an effort to “deliver” the possible overall top draft pick to him. The report revealed three regular season KU games where Blackstock received a complimentary guest pass from McLemore, but as is so often true in these situations, it’s nearly impossible to prove the player or the school knew any such impropriety as alleged by the coach actually occurred. As Gary Parrish at CBSSports.com points out, the NCAA could use Bylaw 12.3.1.2 to declare McLemore ineligible based on what it already knows, but to do so flies in the face of what it just concluded in the Lance Thomas/Duke situation, and begs the tried-and-true question of whether schools should be held responsible for things it simply cannot control in this messed-up system that exists well outside the reach of the NCAA. Gregg Doyel makes a similar argument in this piece, taking the tack that whether we’re talking about the possible ineligibility of Marcus Camby, Derrick Rose or McLemore, the head coach shouldn’t be held responsible unless, you know, he actually had knowledge of, or should have had knowledge of, the events that caused the ineligibility in the first place. Makes sense, right? There was one notable transfer over the weekend, as Western Michigan’s Darius Paul, the MAC Freshman of the Year last season after averaging 10/6 for the Broncos, tweeted that he would transfer to Illinois after attending older brother Brandon’s postseason awards banquet. He had several high-major offers on the table, but it is becoming clear that John Groce’s fun playing style feeds into a recruiting strategy focused on bringing in a healthy mix of talented freshmen and successful mid-major transfers such as Paul, Illinois State’s Jon Ekey, Seton Hall’s Aaron Cosby, and several others. Paul will sit out next season per NCAA rules but will be ready to contribute in the post for the Illini beginning in 2014-15.